Home - News Targeted News Targeted - OnePlus 7 image leaked - where in the day is the camera? OnePlus 7 image leaked - where in the day is the camera? Frameless and no holes in the screen. OnePlus 6T has only been a few months in the store shelves, but a picture that has appeared on the web is bouncing up the speculation about the next flagship. 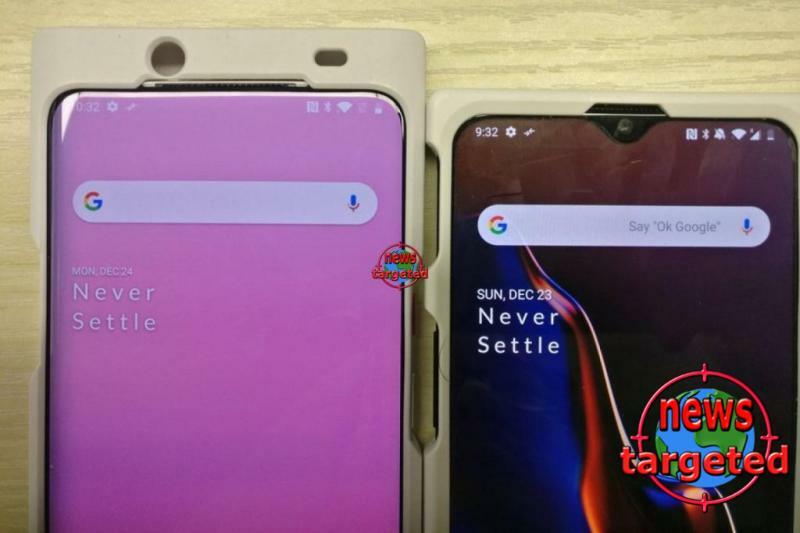 Image shows what is supposed to be OnePlus 7, next to OnePlus 6T. The first thing we notice is the absence of a bus pocket. We can't see any hole in the panel at all, so the question is, of course, where they placed the camera. In the picture, both phones are placed in covers, but on the phone on the left, which may be OnePlus 7, the camera hole is placed much further up one of the 6T model. It may be that the next flagship gets a slider for the camera. Maybe something like the Vivo NEX pop-up camera, or a motorized variant, such as on Oppo Find X? If it turns out that we actually see OnePlus 7 here, the phone can become one of the first smartphones that is both frameless and without bus pocket. Which camera solution do you think we get in OnePlus 7?